If you could have any superpower, what would you choose? (Don’t worry, I just pictured a 10-year-old version of myself in a cape too.) My answer to this age-old question has always been reading minds. Maybe that wasn’t your first choice, but if you’ve ever found yourself scratching your head about how to get learners better engaged with the content you’ve provided, I’m sure it’s a power you wouldn’t mind having. The right content for your learners can feel like a guessing man’s game. It can be hard to know what’s working, what’s not, and how to do better. That’s where data-driven design comes in. There’s an abundance of data that can be gathered about how users are interacting with content. 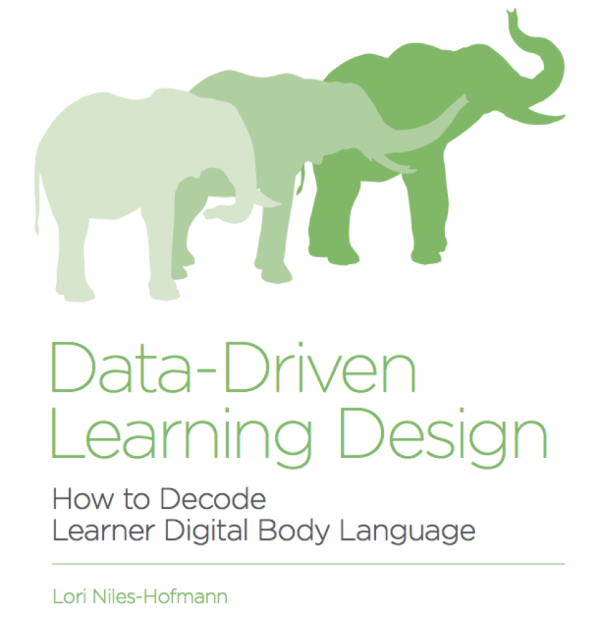 It’s just a matter of knowing what kind of data to look for, and how to use it to shape your learning design. Lori Niles-Hofmann, Director of Digital Learning at Scotiabank, is a data-driven design guru. She’s a firm believer in pursuing the insights that we can’t see and leveraging multiple sources of data to identify trends to get ahead of learner needs. What kind of data are we talking about? Likes, dislikes, most viewed content, mobile vs desktop usage, popular content length… the list goes on. All of these pieces of information are the users’ way of speaking up about what they like and don’t like – and it’s time we started listening. As Lori says, “It is not enough to just curate and push out links. You have to have a plan to engage in online dialogue and listen to the comments from the community.” Far too often, companies offer what they think learners need and never pause to find out if it’s actually what they want. So how exactly do we find out and deliver what learners want? Join Lori Niles-Hofmann in person at Degreed LENS for her “Upskill Yourself: Data-Driven Design Skills” workshop where she’ll discuss in-depth how to change your learning design to better suit your audience. What is L&D’s Role in Empowering a Mobile Workforce?